I designed this worksheet myself. 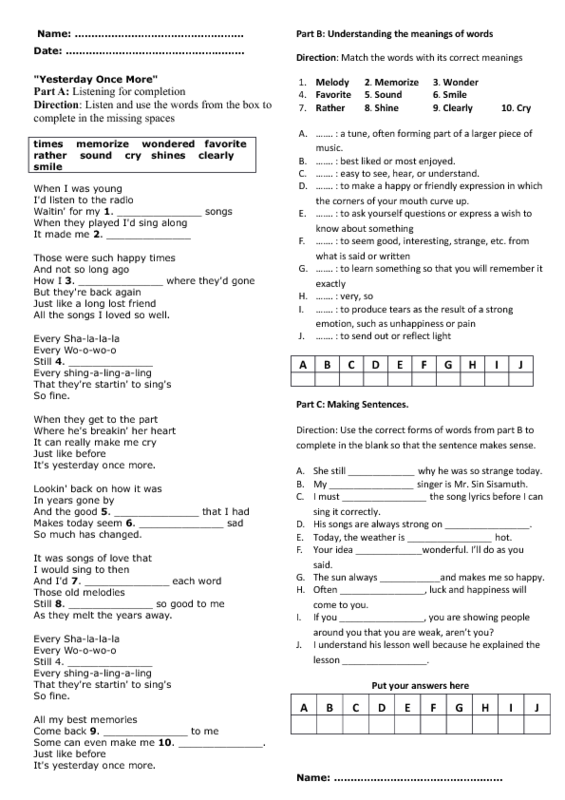 In this worksheet, there are three main activities. The first activity: students will have to complete the missing spaces with the words from the box. They should know only how to read and pronounce the words only. 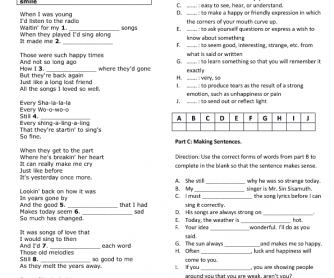 The second activity, students will have to use a dictionary to match the meaning of the words to the word or expression. Lastly, they have to use the words given to supply in the missing spaces to make the sentence make sense.